KSRealityBites: Tomatoes may prevent the onset of Vascular disease! Tomatoes may prevent the onset of Vascular disease! Tomato may be treated as the vegetable for delicious food items & sour flavor in snacks, but it has the nutrition effect that can prevent the risk of vascular diseases. Yes! As per new study, tomatoes may prevent the onset of vascular disease. A team of researchers from Kyoto University said that a compound found in the world’s most widely-produced fruit may prevent a condition known as dyslipidemia, which is caused by an abnormal amount of cholesterol & fat in the blood stream. An extracted compound from tomato called 9-oxo-octadecadienoic acid, has anti-duslipidemia effects that the researchers said could help prevent the onset of vascular disease. Researchers said that dyslipidemia is a condition caused by excess cholesterol or fat in the blood stream. It itself has no symptoms, but can lead to symptomatic vascular diseases like arteriosclerosis & cirrhosis. 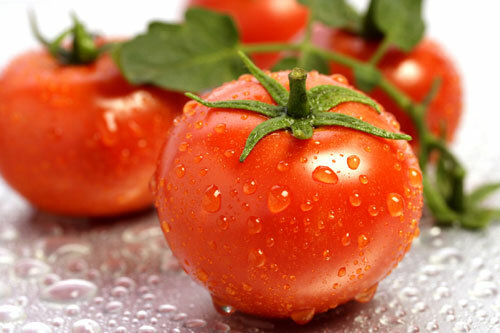 And it is tomato that has potentiality to reduce extra fat & cholesterol in the body. The study published in the journal Molecular Nutrition & Food Research suggests that tomato easily can put people under the safety zone preventing the risk of dyslipidemia that causes vascular diseases. Finally researchers stated that a statement that “Finding a compound which helps the prevention of obesity-related chronic disease in foodstuffs is a great advantage to tackling these diseases. It means that the tomato allows people to easily manage the onset of dyslipidemia through their daily diet.” Click & promote this post!